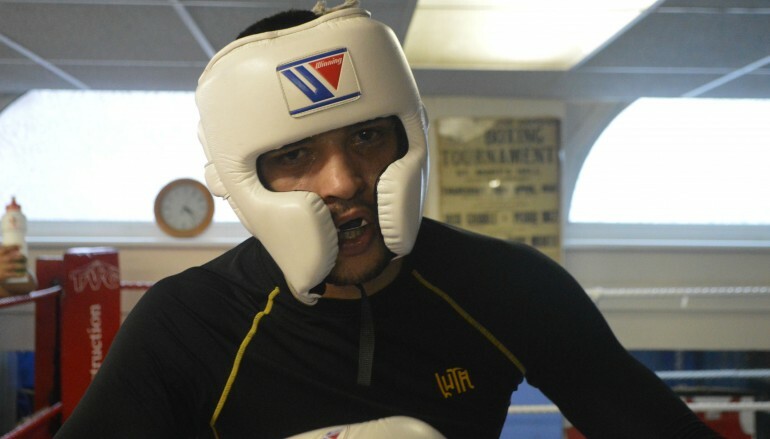 Barry Town’s Lee Selby (19-1, 7KO) could break through on to the world scene on Saturday and he’s left no stone unturned in the most important training camp of his career. 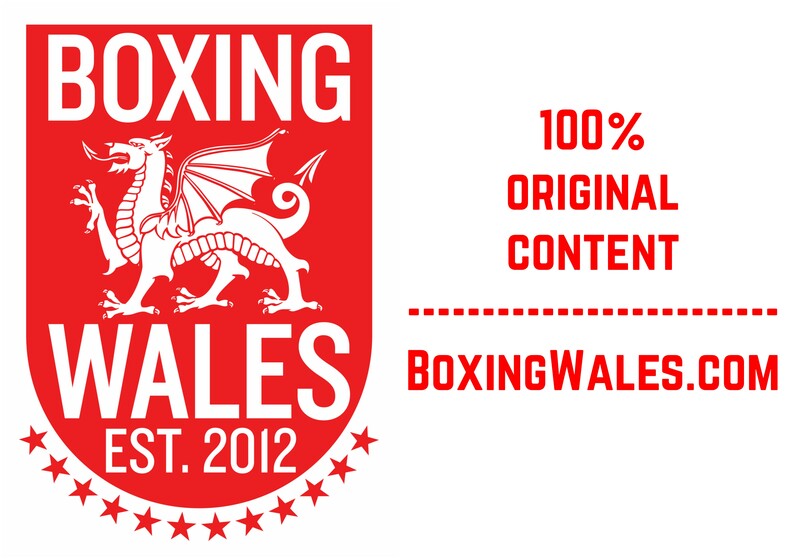 The Welshman faces the undefeated Australian Joel Brunker (27-0, 15KO) at London’s O2 Arena in a final eliminator for Evgeny Gradovich’s IBF world featherweight title and Selby’s gone global in his preparation, spending time in America and Spain. 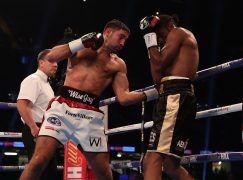 Speaking at Cardiff City Hall in front of more people than there were at some of his early title fights, Selby said, “My training camp has gone excellent. I’ve been out to America for two weeks sparring and before that, about seven weeks ago, I was sparring Kiko Martinez [former world super-bantamweight champion] getting him ready for his fight with Carl Frampton. I was sparring numerous rounds, 12 rounds at a time seven weeks ago, so I’m in tremendous shape. “Out in America, I went to Freddie Roach’s gym. I sparred with a Filipino, a Russian – I’ve had all types of sparring, from novice Mexicans who are there trying to kill me to elite and unbeaten fighters. 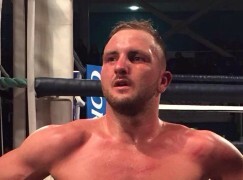 Everything is on track, it’s all going well and I’m ready to put on a show on October 11th.” BoxingWales.com have long labelled Selby with the ‘Sugar’ moniker due to his Americanised style. Over the last two years, Selby has made a series of trips across the Atlantic with his manager Chris Sanigar and that style has been honed in some of the states’ best boxing gyms where he happened to get to know Brunker very well. Selby said, “The first time I went to America, he [Brunker] was there. I sparred with him on numerous occasions at the [Floyd] Mayweather gym, Johnny Tocco’s gym and the H.I.T Factory, Eddie Mustafa’s gym. So, I know him pretty well and we must have sparred about 30 rounds together. Coming away from that, we’ve both gone in to our camps and know what to expect, a tough fight for us.” Reflecting on his journey to the brink of a world title shot, Selby recalled the steps he’s taken to reach this point. 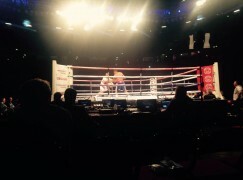 He said, “I’ve done it the hard way, fighting on these small hall shows in front of a couple of hundred people, then I sold out the Motorpoint Arena fighting in front of thousands. I started from the bottom, won the Wesh title, Celtic, British, Commonwealth, WBC International two times. All that’s left is the world title and I’ve cleaned every belt in boxing.” Tickets to ‘Moment of Truth’ are priced at £40, £60 and £100. Tickets are available on 08448 24 48 24 and from The O2’s ticketing agent – www.AXS.com. 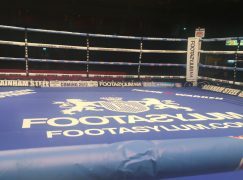 VIP packages priced £150 are exclusively available from Matchroom Sport on 01277 359900 or at www.matchroomboxing.com.